The ‘Incomplete open cubes’ are a sequence of open-sided cube structures, each missing between one and nine of their sides. At once repetitive and varied, this series lays out 122 possible variations on the concept. 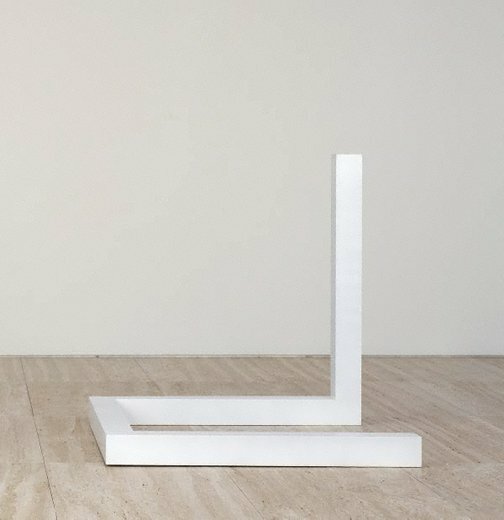 The ‘Incomplete open cubes’ exemplify LeWitt’s conceptual practice and have been widely interpreted as embodying systematic rationality; they are based on an arithmetic concept which they then take to its logical extreme. While they are internally consistent, they also manifest an irrational, obsessive quality reflected in LeWitt’s own comment that ‘irrational thoughts should be followed absolutely and logically’. Here he presents a binary between the rational and the irrational. Signed c. verso certificate of authenticity, black fibre-tipped pen "... /Sol LeWitt". Not dated. Anthony Bond, John Kaldor family collection: Art Gallery of New South Wales , 'Sol LeWitt', pg.100-131, Sydney, 2011, 102, 110-11 (colour illus.). Sol LeWitt: incomplete open cubes , New York, 1974, (illus. ).